WE ARE A YOGA AND FITNESS STUDIO IN THE HEART OF MIDTOWN MEMPHIS. WE OFFER HEATED AND NON-HEATED POWER FLOW AND VINYASA YOGA, AS WELL AS FITNESS CLASSES THAT RANGE FROM BOOTCAMP/HIIT TO CARDIO DANCE. THE HAUS, LOCATED IN THE HEART OF COOPER YOUNG, IS A PLACE FOR YOU TO SHOW UP, MOVE YOUR BODY, CLEAR YOUR MIND, AND SHARE IN LOVE AND HEALTH. Jocelyn grew up in her mother’s dance and gymnastics studio in Tupelo, Mississippi, where she cultivated a love and understanding for movement of the body. She studied Vaganova ballet technique at Birmingham Southern College, and received a Bachelor of Arts in Dance and a Bachelor of Science in Business Administration. In 2008, she moved to New York City and spent the next seven years teaching in the NYC fitness industry. Over the years, Jocelyn has taught various forms of dance and multiple fitness formats and has been a NASM certified Personal Trainer. In 2013, she became a certified Vinyasa Yoga teacher through Joshi Yoga Institute and is currently working towards her 300 hour advanced Vinyasa Yoga training with an emphasis on Restorative Yoga at Sanctuary for Yoga in Nashville, Tennessee. She has worked for Equinox, Broadway Dance Center, Reebok Sports Club/NY, Sports Club/LA, Joffrey Ballet School and many others. Jocelyn moved to Memphis in early 2016 with her family and has fallen in love with this beautiful city. Alyson started doing yoga in middle school with her mother. In college, she discovered power yoga and felt a pull towards finding a deeper understanding of the practice, both as a student and as a teacher. She credits her teacher in Knoxville with bringing her from an occasional yogi to a dedicated practitioner. As a teacher, Alyson seeks to foster an environment of empowerment, strength and growth in her classes, and urges students to take the lessons they learn on their mats out into the world with them. Jeanie's passion is inspiration. She is inspired by exploring the full spectrum of life, whether this means circumnavigating the globe, making art, volunteering in the Peace Corps, drinking wine under the stars, exploring shamanism in the Andes, teaching languages, learning to cope with loss, making sincere connections, or practicing and teaching yoga. Jeanie first clicked with yoga when she began exploring yogic philosophy through classical texts, loving the emphasis on wholeness in yogic thought. Jeanie subsequently incorporated the practice of yoga into her life and as someone who also loves to inspire others, completed her teacher training at Midtown Yoga Memphis in 2015. She has spent the last two years teaching in tropical paradise on the island of Lombok, Indonesia, where she also developed her own unique style of yoga, Samadhi Yoga. Jeanie is a member of the Yoga Alliance and holds a RYT-200 certification. In her classes, she empowers students to start living oneness by integrating their practice into their everyday lives so that they can be inspired to live their own masterpieces. 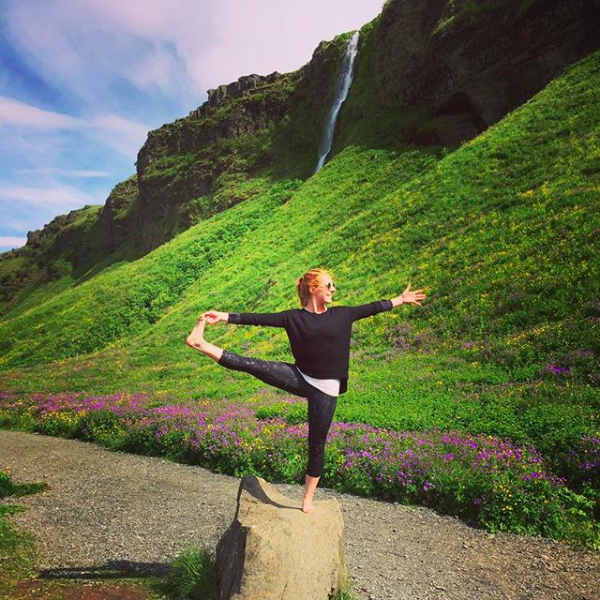 Maggie began a consistent yoga practice in 2012 and received her RYT-200 in 2017 at Lighthouse Yoga School in Brooklyn, NY. She has taught at Lighthouse Yoga School, Suryaside Yoga and Y7 Studio, all in New York City, and continues to study every day through asana, meditation, yogic texts and philosophy. In her own practice, yoga has been a journey of self-discovery and self-expression, and has allowed her life to profoundly shift. This experience is just what she hopes for her students. Her classes will soothe, challenge and ground you, creating a strong connection between movement and the breath. Maggie will encourage you to find your limits, physical and mental, so you can begin to move past them and find the space to grow. Jimmie Hewett was born and raised in Memphis, TN and had a very early interest and affinity for movement. Starting off as a young Shotokan martial artist at the young age of five years old, he branched off into a myriad of sports and becoming a classical musician of many instruments. Eventually Jimmie’s combined love for movement and creating music came together to form a love for hip-hop dancing, that he did with the performing arts school Graffitti Playground. At 19, he joined New Ballet Ensemble and School where he became a company member within months of work as a new ballet trainee, and worked as a teaching and performing artist for seven years. After years of training in ballet and continuing his higher education, Jimmie used his newly developed ballet technique and seasoned teaching skills to become apart of Cardio Barre Memphis as a world class fitness instructor; and would maintain all three occupations at once from age twenty five to twenty nine. Jimmie has just recently decided to complete his degree in Physical Therapy at age 29 and is now enjoying the art of performing and teaching when the academic schedule allows. Ruthie began yoga as a way to strengthen her body and recover from injuries sustained in an accident in 2009. She quickly realized that yoga offers much more than just physical exercise. She slowly began to heal not only her physical body but her mental and emotional traumas. In 2015, Ruthie completed a 350hr training in New Orleans. She became a certified Jivamukti yoga teacher in 2018, after completing a 300hr training in India. Leah Margaret began practicing yoga in 2016 as she was looking for something new for her workout routine, but yoga quickly became so much more than that. Yoga has provided a safe space to unwind, clear her mind, and challenge herself to go beyond her comfort zone. Through consistent practice, encouraging teachers, and a supportive community, yoga has become one of the most important aspects of her life. 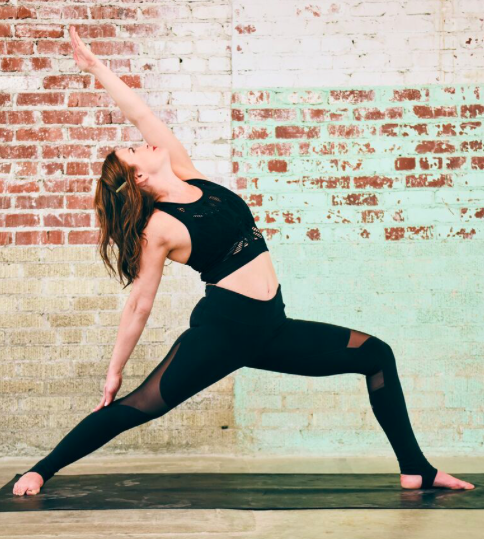 Leah Margaret obtained her RYT-200 Power Vinyasa certification in March 2018, and she hopes to share with others the many benefits of the mind-body connection through yoga. She hopes to inspire others to express their authentic selves and share the true joys that yoga has brought to her life. Ashley is a native Memphian. She was certified with an RYT-200 through Yoga to the People in NYC. She holds a Bachelor in the Arts through University of Alabama. In addition to teaching at HAUS, she also teaches at Roudnev Youth Ballet, E.Studio and River City Gymnastics.